The 2007 Tyler Prize for Environmental Achievement is awarded to Professor Dr. Ir. Gatze Lettinga in recognition of his research and development of an environmentally sound novel process for the treatment of polluted wastewater and its implementation worldwide, especially in developing countries. Over the course of his career, which spans four decades, he has sought to contribute to the development, proper application and use of truly sustainable, resource preserving, economically viable technologies and concepts for the protection of the environment and people around the world. Working with a steadily expanding group of highly motivated co-workers, staff-members, doctoral-students, and post-doctoral associates, he sought to accomplish his goals by: 1. Developing and proving the feasibility of integrated biological treatment systems based on anaerobic and (micro-) aerobic biological treatment methods, complemented with specific physical-chemical methods; 2. Persuading specialists and authorities working in the public and private field of environmental protection (EP) to abandon the prevailing large-scale transport based Centralized Sanitation concepts (CENSA) in favor of Decentralized Sanitation and Resource Recovery and Reuse concepts (DESAR3); and 3. Stressing the importance of pollution prevention at the source (i.e. industries and the public sector). Lettinga began his work in 1971 and he acknowledges that he was inspired by the earlier work of Professor Perry McCarty of Stanford University (a 1992 Tyler Laureate). He focused his efforts on the development and implementation of innovative anaerobic treatment (AnWT) systems. AnWT systems offer substantial benefits compared to established conventional aerobic water treatment (AeWT) methods as a primary method of treatment. In the 1970’s, The Netherlands was in a strong position to embrace the application of cost effective treatment systems in polluting industries, because they were looking for low-cost treatment methods. Lettinga worked in close cooperation with the sugar beet industry and received substantial financial aid from the government of The Netherlands and in 1976 succeeded in implementing the Upflow Anaerobic Sludge Bed Reactor system (UASB) in the sugar beet industry for the treatment of wastewater. The UASB was developed in 1972 in Lettinga’s laboratory and was brought to practical use within just a 4-year period. Lettinga and colleagues then proceeded to expand the application of the system to a great variety of industrial effluents, including quite complex and even toxic wastewaters. From the mid seventies on progress was made toward the anaerobic pre-treatment of domestic sewage. Initially the research was directed towards application in tropical regions, later in sub-tropical regions and during the nineties onwards in moderate climate zones in the developing world. The technology was slow to catch on in the industrialized nations but fortunately, over the years this reluctance has slowly diminished. The AnWT-system, combined with proper post-treatment systems, is becoming the method of choice for the treatment of practically any type of wastewater. Lettinga and his colleagues have made substantial contributions to AnWT technology by developing innovative reactor systems and have fundamentally improved our understanding of the important processes involved in these systems. Adoption of AnWT systems and DESAR3- concepts are enabling communities worldwide to improve the overall quality of the environment and human life. These technologies combined with optimal resource recovery and reuse at each site is much more self-sufficient and self-sustaining. The UASB technology stands behind three-quarters of the world’s anaerobic systems for treating industrial and residential wastewater. Professor Lettinga did not patent his invention and the core technology is still freely available. Professor Lettinga was born in Dongjum (FR.) The Netherlands on January 4, 1936. He attended the RHBS High School at Harlingen from 1949-1954. He obtained his undergraduate degree from the Technical University Delft in Chemical Engineering, specializing in unit operations and potable water treatment. He continued his doctoral studies in the Department of Chemical Engineering at the Technical University Delft and at the Inter University Reactor Institute, Delft. His doctoral thesis completed in 1972 was entitled “Radioactivity and water supplies, treatment of radio-active wastewaters using chemical-physical methods and natural materials.” He joined the faculty of Wageningen Agricultural University in the Department of Environmental Technology in 1970 and rose through the ranks to Professor in Environmental Technology in 1988. He retired from the University in 2001 but has remained very active throughout his retirement as a consultant and member of the Board of Lettinga Associates Foundation (LeAF) formerly, the Environmental Protection and Resources Conservations Foundation of which he was the Chair from 1997-2002. He is the author of over 500 publications. He has graduated over 57 PhD students not only from The Netherlands but also from a number of developing nations as well, such as Brazil, Mexico, Egypt, Tanzania, Vietnam, Taiwan, China, and The Philippines. He has served on the organizing or scientific committees for a number of national and international conferences beginning with the 2nd Int. AD-Symposium, in 1981 and the 3rd Int. AD-Symposium in Boston in 1983 and continues to be involved even through his retirement. He organized yearly international courses on “Anaerobic Digestion” for developing countries. He served on the editorial boards of Agricultural Wastes (presently: Bioresources Technology), Re/Views in Environmental Science and Bio/Technology, and the Journal of Environmental Science and Health. He has been honored with a number of awards beginning in 1979 with the NVA- prize of the Dutch Association on wastewater treatment. In 1981, he was awarded the Medaille d’argent de la Ville de Paris and in 1992 the Karl Imhoff Award of the International Association of Water Pollution Research Control (IAWPRC). He was a recipient of the Royal Shell prize for Sustainable Development and Energy in 2001. The Universidad of Valladolid, Spain awarded him the honorary degree of Dr. Honoris Causa in 2001. He is a member of the Dutch Association of Water Pollution Control (NVA), the Dutch Association of Biotechnology (NBV) and the International Water Association. He has served as a consultant for polluting industries in The Netherlands as well as throughout the world. 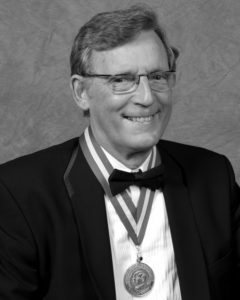 He has been involved with over 15 engineering projects on anaerobic waste water treatment plants in developing countries beginning with projects in Cuba, Brazil, Indonesia, India and Vietnam in the 80’s and continuing to the present day with projects in Morocco. Dr. Lettinga’s contributions to the scientific, technological and human community have been tremendous.